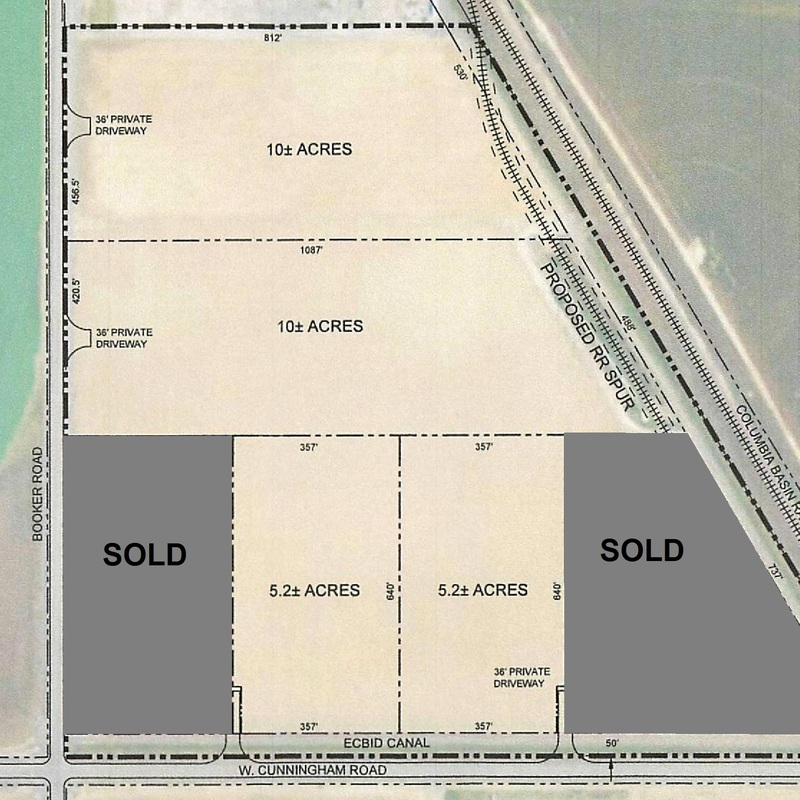 42.8 acre developed site located at the intersection of Booker and Cunningham roads. All utilities are available and rail access can be developed. 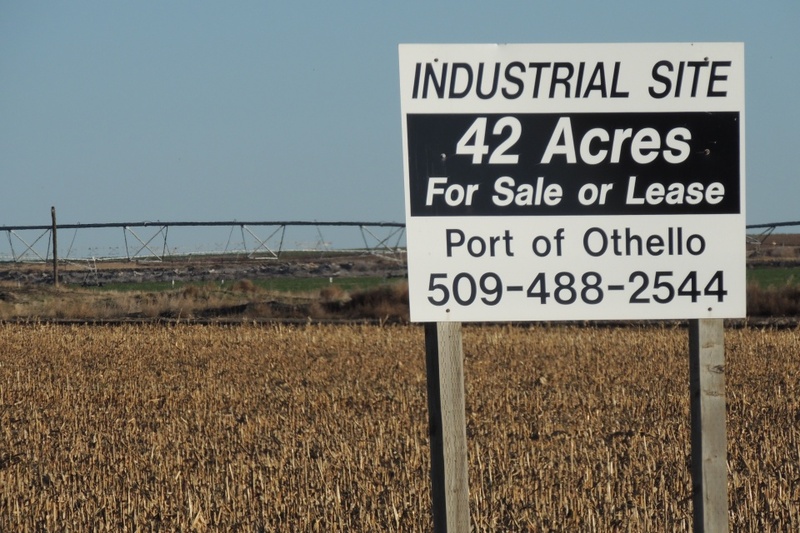 Can be purchased as one parcel, or in 5-10 acre parcels. The sites are the currently zoned for light industrial or manufacturing and are served by the Bruce Water System providing domestic water and fire protection. Occupants have a choice of two power providers. Natural gas is also available. The rail spur is serviced by the Columbia Basin Rail Road connecting Burlington Northern Santa Fe line at Connell, WA. Other businesses in the area include onion and potato storage and packing facilities, seed companies, and fertilizer and chemical dealers. The sites are directly connected to the Simplot and McCain Foods processing plants and the Columbia Colstor plant in Othello by the way of Lee Road.